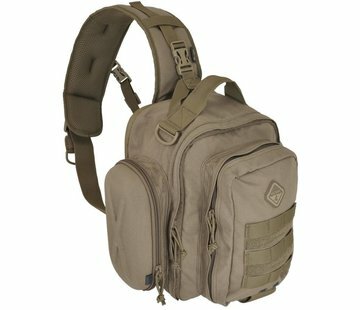 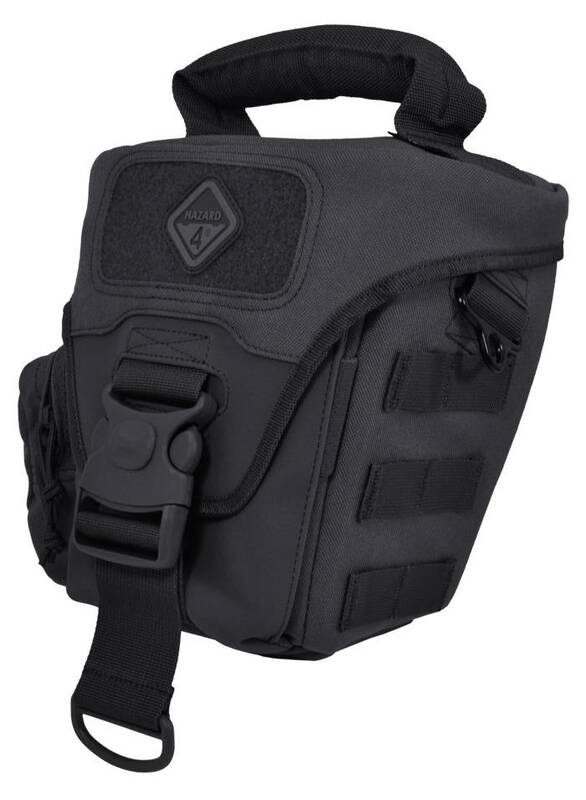 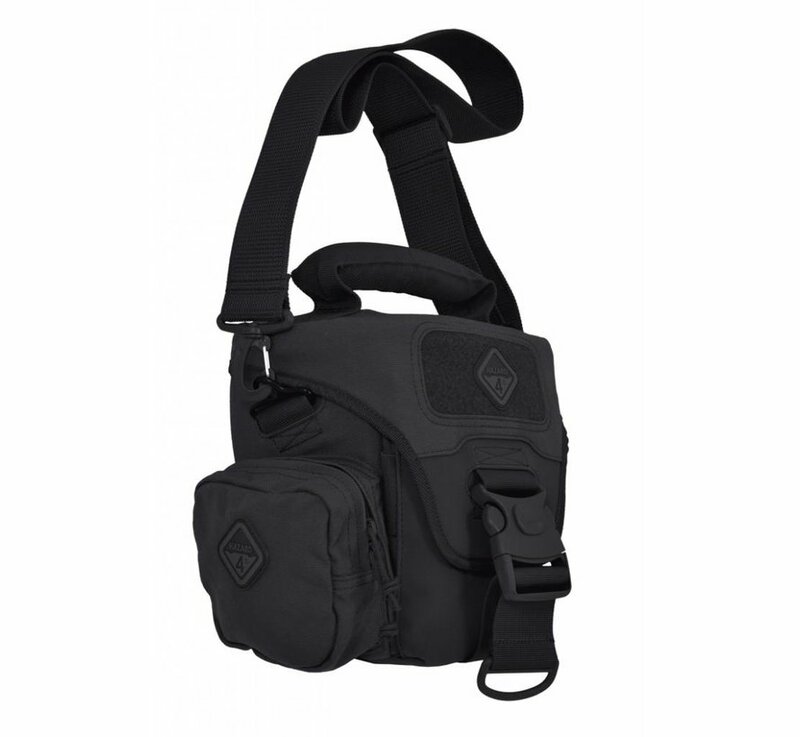 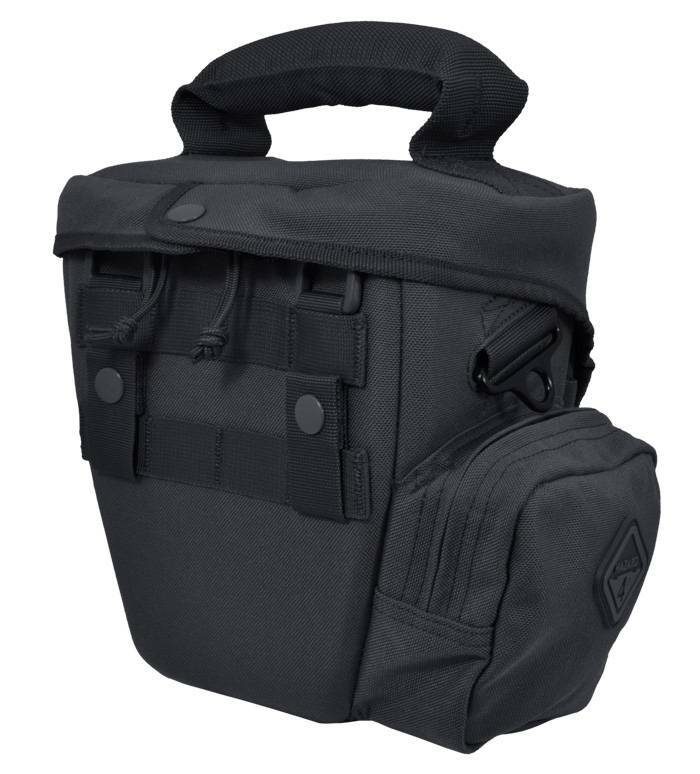 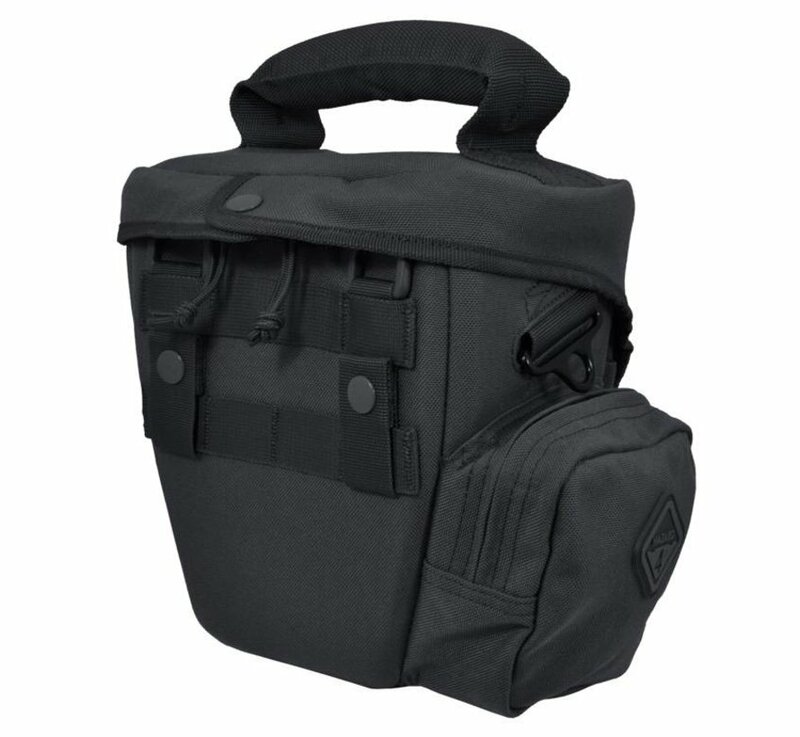 Hazard 4 Objective Bag (Black). 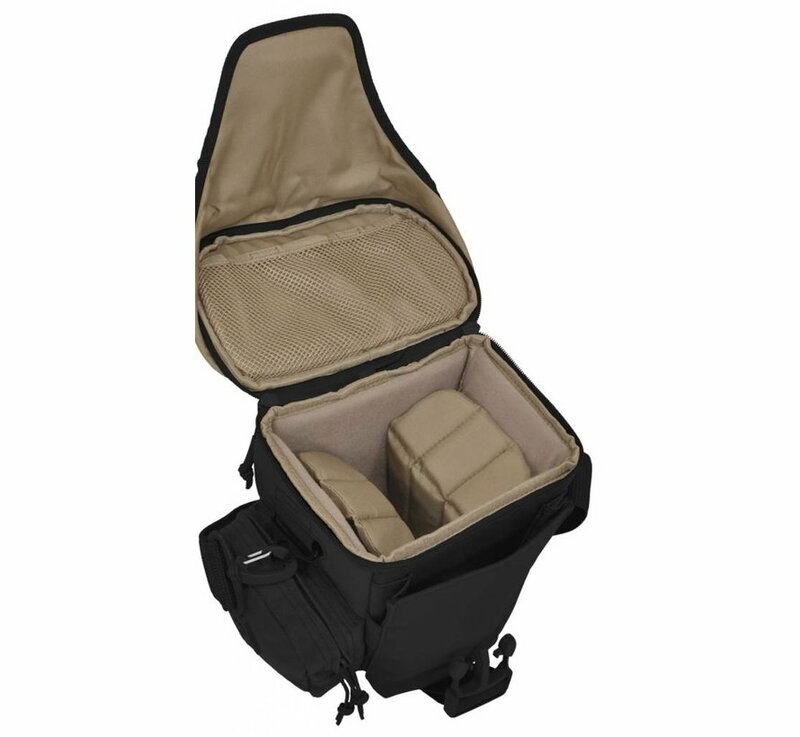 A smaller version of our popular Wedge™ camera case, the Objective™ was made for SLR cameras using shorter lenses. 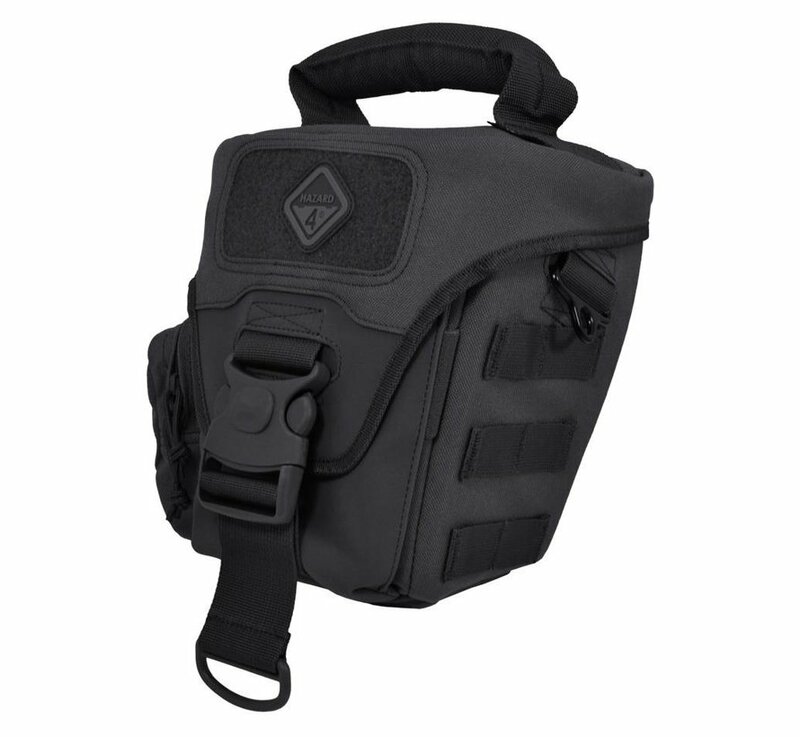 This SLR camera bag includes a 4-slider system zipper for access from front or back and heavily padded construction for ultimate protection. 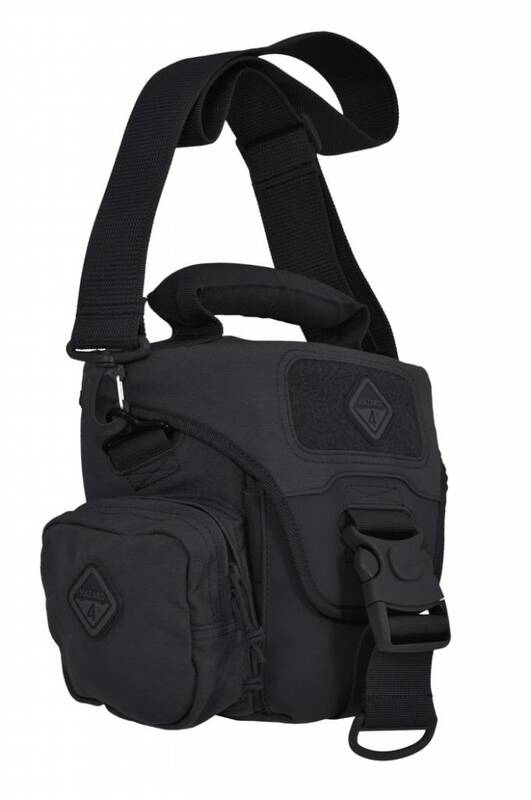 The main top zipper can open from the front or the back! 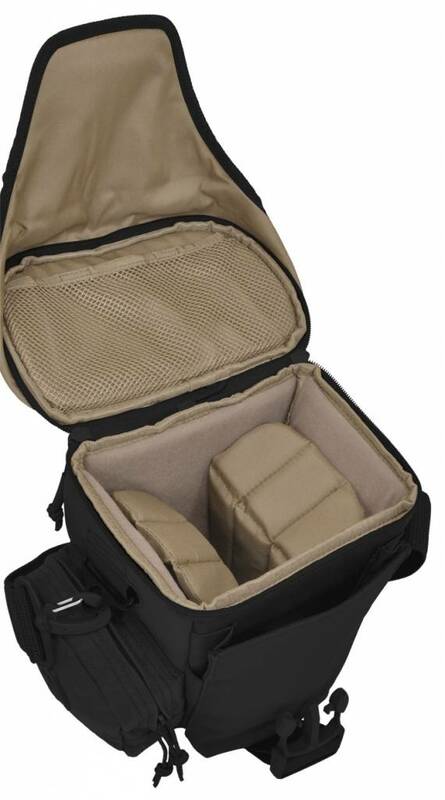 Inside-lid mesh pocket for memory cards, etc.